Pautrot was a fine Animalier sculptor who created many models of birds that were popular in the 19th century. His work rivaled that of Moigniez and Comolera. Most of his birds are shown in a natural setting. 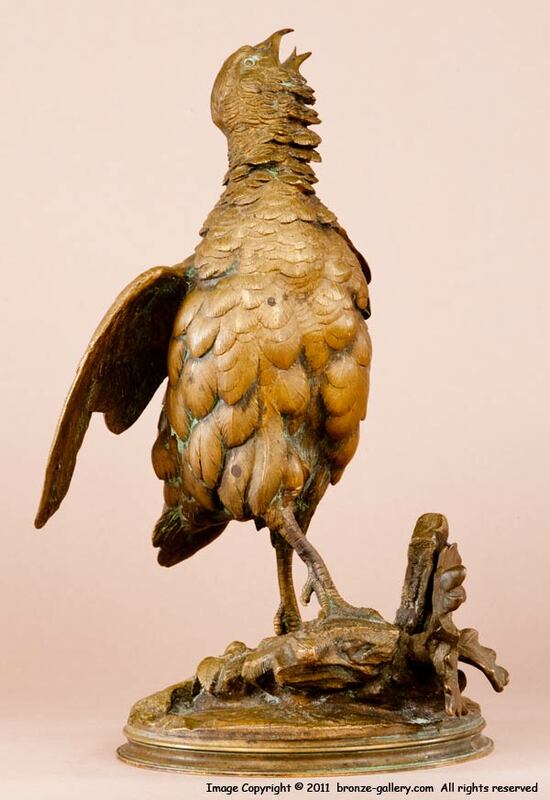 Game birds were very popular in the mid 19th century and sculptures of Quail, Grouse, and Pheasants adorned many homes. These game bird sculptures continue to be popular today and are enjoyed by nature lovers as well as hunters. 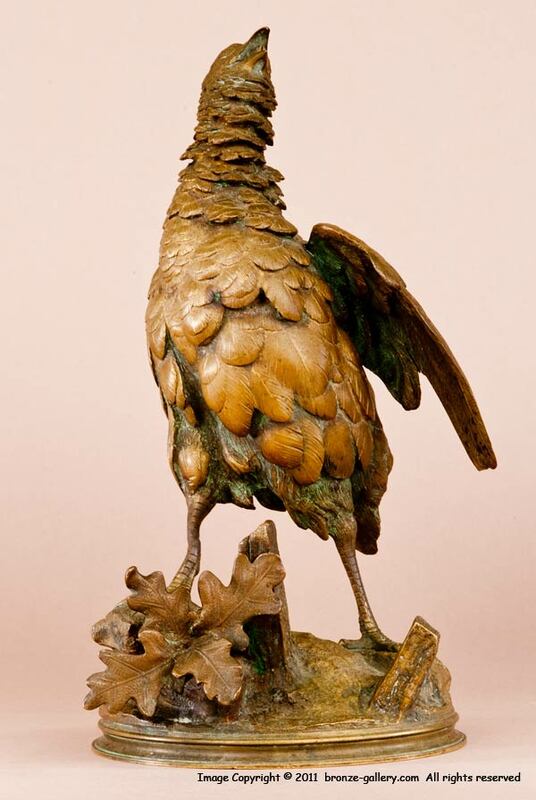 This large life sized bronze shows a Quail as he struts along with his wings out doing a courtship display while he calls for a mate. The Quail is captured in mid step and the details on this bronze are superb. The Quail is finished in a mid brown patina and is on a naturalistic round base with a stump and an oak branch. A fine model that enhance any collection.